Here Today/Gone Tomorrow. Homework: Analysis Question 4 This will be a quiz grade. To receive a B your answer must have the following elements: –An opinion. 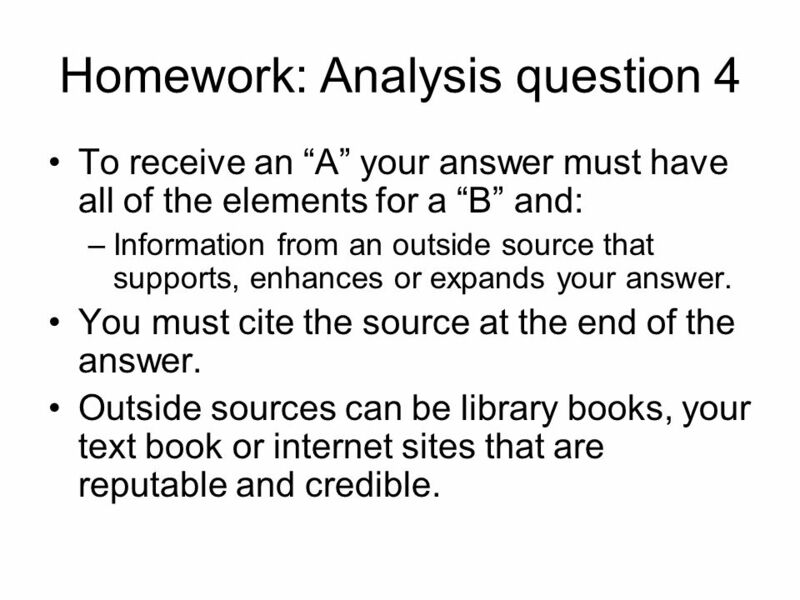 3 Homework: Analysis question 4 To receive an A your answer must have all of the elements for a B and: –Information from an outside source that supports, enhances or expands your answer. You must cite the source at the end of the answer. Outside sources can be library books, your text book or internet sites that are reputable and credible. 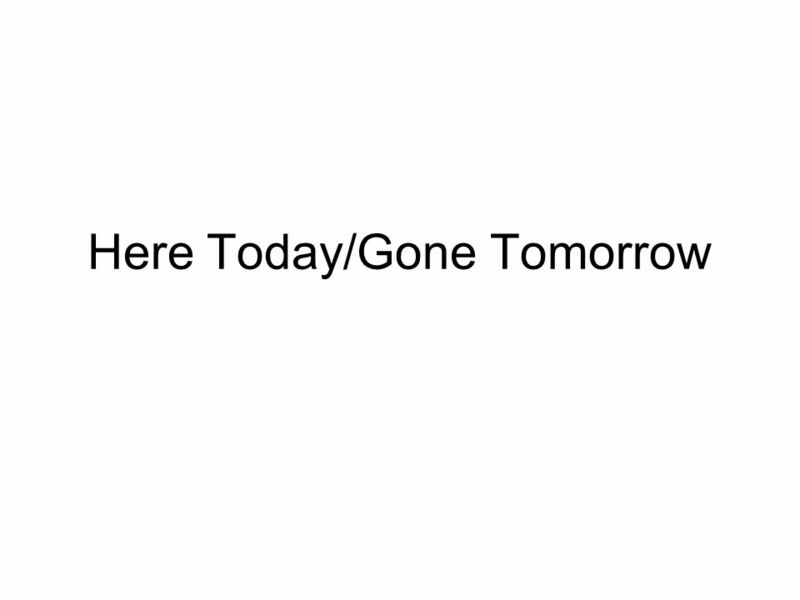 Download ppt "Here Today/Gone Tomorrow. 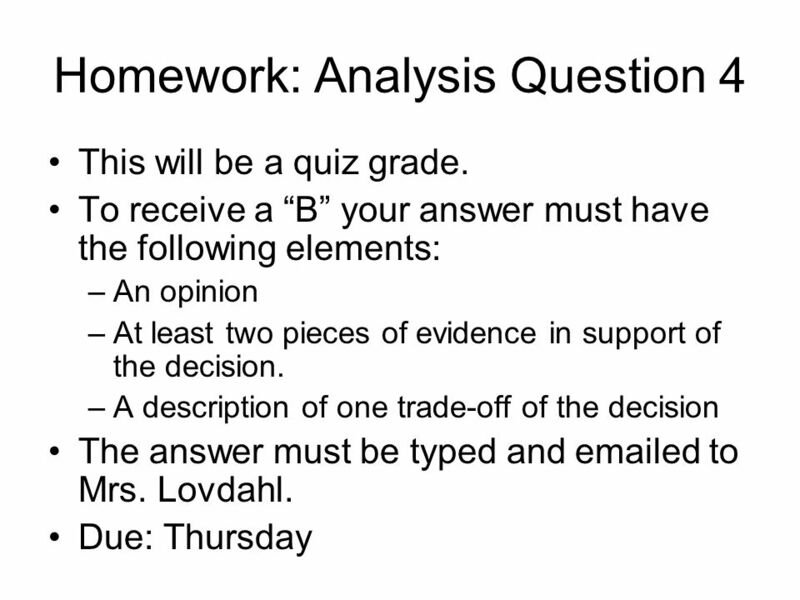 Homework: Analysis Question 4 This will be a quiz grade. To receive a B your answer must have the following elements: –An opinion." MR. HARRIS A.P. World History. Class Description The purpose of the AP World History course is to develop greater understanding of the evolution of global. Unit 3 Antigone Mrs. Gehrt. Friday 11/15/13 Activities Greek Drama Lab 406: Web Quest Objective Students will… Navigate the internet to locate specific. Unit 4 Mrs. Gehrt. Thursday 1/23/14 Activities Close Read with “Getting Acquainted with Shakespeare” – 1st read= 5 Ws/1H – 2nd read= 1. What is the author’s. Argument Paper – Am I on the Path Toward Achieving my Career Goals? Using self-reflective data gathered from RIASEC, Multiple Intelligence Survey, evidence. Blogging: Locke and Hobbes Mr. Rush Go Muskies. Please take out a piece of paper that you will turn in. There are 5 questions we will answer for this journal. We will do them one at a time, with discussion. Week 12 Mr. Spinogatti 8 th Grade Language Arts. Monday: 11/3/2014 Today you will be writing an in class essay for The Tell Tale Heart. The final version. LIBRARIES, DATABASES AND THE INTERNET. Why do we need Libraries? Credible Organized Selected In Depth Info. Back to School Pre-algebra. What is this class about? Rational and Real Numbers Patterns and Relationships Geometry and Measurement Linear and. ALGEBRA I Mrs. Bley staff_directory/math/ mrs_bley The following are not allowed in Mrs. Bley’s Class: 1.NO. Contact Information Mrs. Marr – Extension 2974. Thursday, June 11, 2015 HOMEWORK: Study for Evolution Test Textbooks due by Mon 6/15 Relay for Life Tomorrow! Wear Purple! OBJECTIVE: I will be able to. Warm Up 1)Find an angle between 0° and 360° that is coterminal with 1190°. 2)Convert 45 degrees to radians. Materials   Planner   Assignment Sheet   Giver Activity RC due TODAY! Check off AV page 52 Check off Giver movie assignment Letter to Self The Truman. Reviewing for Gateway #2 The second Gateway Quiz will be given at the next class session, after we review for Quiz 2 on sections If you have already.